John Riddell woke with a scream, his head pounding. It took a moment for him to recognise his surroundings, his bedroom aboard the TARDIS, and he let his breathing and heart rate slowly return to normal. Ideally, he needed more rest to recover fully from his injuries, but—setting aside the visceral nightmare—his well-honed instincts told him that something else was wrong. He wrenched himself from his bed, staggered to his feet, and made his way out into the corridor towards the control room. En route, he was met by a discombobulated and similarly upset Flo. Synopsis: The Venturi were an advanced and accomplished race. Now, their civilisation has been annihilated, their wondrous homeworld transformed into a technological horror. Following the Viyrans into the heart of this high-tech holocaust, the Doctor, Riddell, and Flo must face their fears and inevitable infection to strike a blow against a familiar and unrelenting enemy. The conversion of the Venturi has allowed the Cybermen to transcend their limitations and attain awesome power, rendering them more adaptive and dangerous than ever! As the travellers make their way through a surreal cityscape of living metal, their bodies begin to undergo a slow and unnatural change. Flesh and blood are gradually being transformed into circuits and steel, and the trio discovers that their subconscious minds are now linked. The Cyberiad is all-knowing, encompassing every living creature on the planet. As their bodies fade, so too does their sense of self. John Riddell, the sole human in this doomed expedition, suffers worst of all. He can see and hear James Sampson and Lillian Riddell—his greatest rival and a sister tragically lost—haunting manifestations of his shattered psyche. Lillian threatens him, and Sampson tempts him, each goading Riddell into embracing an inhuman influence. Slowly but surely, the self-reliant adventurer is losing himself to the Cyberiad. 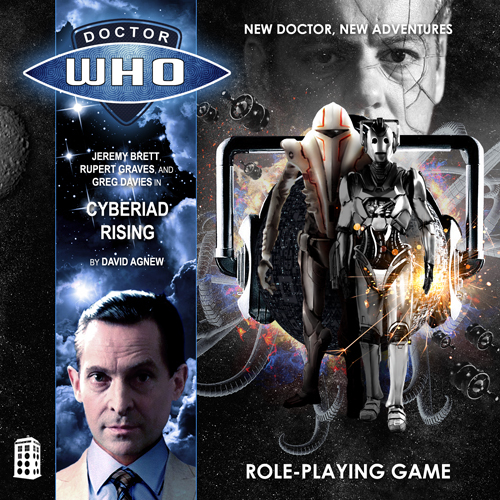 The culmination of his agonizing trial will mark the birth of a powerful new Cyber-Planner, one who will usher in an era of unprecedented conquest for the Cybermen. 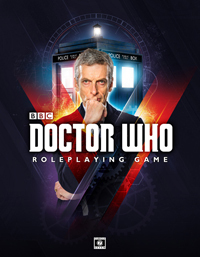 The Venturi and John Riddell have been lost, but if the Doctor can outmanoeuvre a trusted companion transformed into a formidable foe, he just might prevent this insidious infection from spreading to the galaxy beyond! THE DOCTOR was lost in thought, his brow deeply furrowed in a contemplative frown as he walked behind the trio of Viyrans through the corridors of their command ship. Riddell and Flo followed behind him, congratulating one another noisily on how they had saved the mighty Shadow Proclamation from the devastation that the errant Starmind had threatened, replaying their roles with ever more exaggeration and aggrandisement. 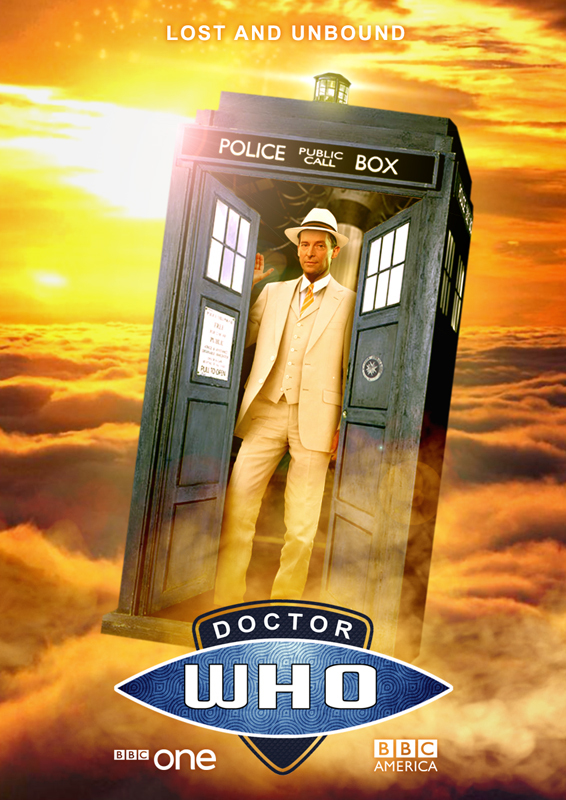 Suddenly, the Doctor stopped in his tracks, whirled around and glared at them both. One wordless stare from his piercing eyes was enough to bring a sudden halt to their conversation. Usually the most effervescent person in the room, the Doctor’s moments of seriousness were all the more intense for their comparative rarity. His point made and his travelling companions silenced, he resumed his march in deep thought. Riddell and Flo exchanged glances like a couple of rebuked schoolchildren, shrugged, and then followed behind him in cowed silence. The Viyrans had led them all the way back to the waiting TARDIS before Riddell first summoned the courage to speak again, seeking the break the tension. Adversaries: The House, The Weeping Angels, The Reapers, et al. Continuity: The first adventure featuring the Zen Doctor and K9. Synopsis: In the tunnels beneath the Martian moon Phobos, the Doctor and Selene evade Ice Warrior extremists. Down the autumnal paths of nineteenth century New England, the Doctor and his trusty steed Marilyn flee the manifestations of a nightmare. And in the peace and serenity of his TARDIS, the Doctor’s meditations are interrupted by a warning from K9 concerning a temporal disruption. In one continuum-shattering instant, these three distinct incarnations of the same renegade Time Lord find themselves face-to-face, and the implications of such a convergence are nothing short of catastrophic. 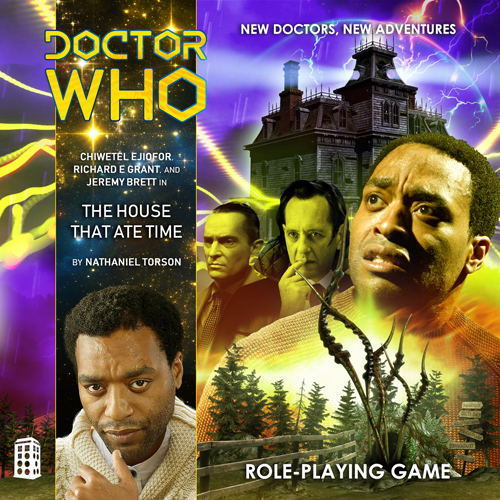 The force that has brought three Doctors to the same deceptively nondescript basement vault is driven by hunger, an all-consuming hunger greater than the raging energies of the time vortex itself. It feasts on the transcendental flesh of god-like Chronovores, and it saps the artron emissions from prototype Sontaran timeships. Unchecked, it will devour the TARDIS whole. 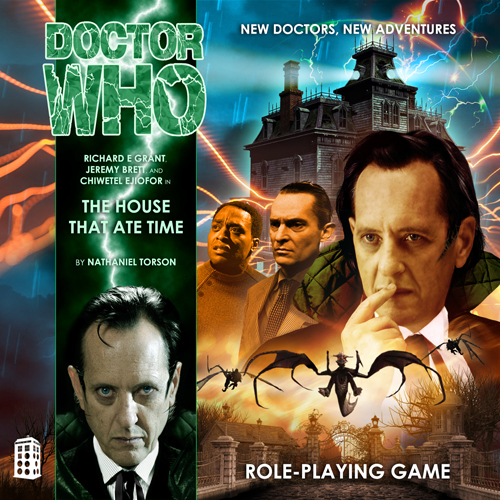 Putting aside their differences to investigate this ravenous presence, the Doctors discover that beyond the underground labyrinth stands a house unlike any other, where spacious halls and tastefully decorated lounges conceal an architecture that mocks the laws of physics, and each door and window opens onto a different time and place. Reality itself is but a pabulum here, for this is the house that eats time! Deconstructing the deadly mysteries of this astonishing structure requires a coordinated effort across three distinct timeframes, moments in history infected by its corrupting influence. 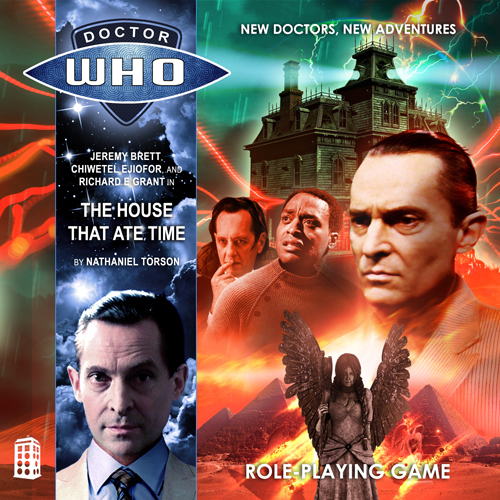 In each of these eras, a Doctor must face a gauntlet of terrors, for the paradoxes produced by this insatiable beast of an abode have attracted some of the universe’s most dangerous temporal parasites. But there is hope to be found in these distant times and places, for a lone figure is present wherever the Doctor ventures. 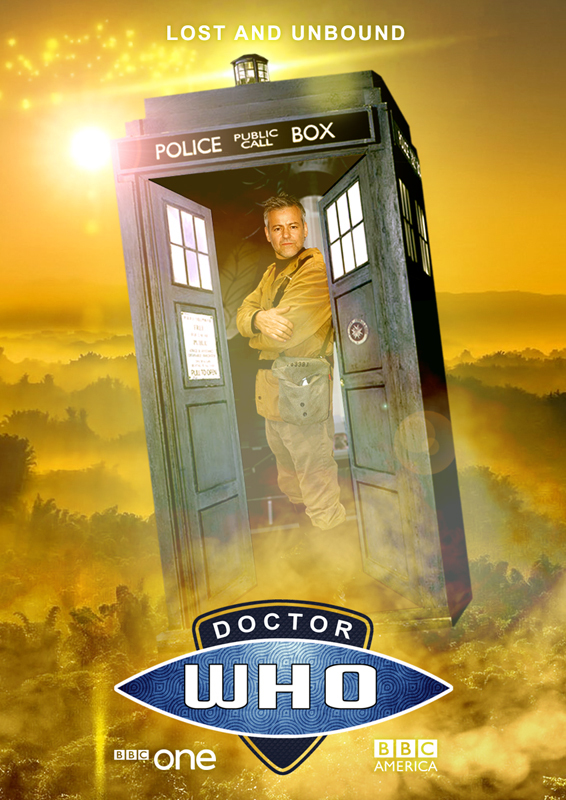 Earth’s history and the survival of the TARDIS may depend upon the kindness and goodwill of one Dr. John Smith, an ordinary Englishman caught up in most extraordinary circumstances. Three Doctors. Three timeframes. One monstrous threat. It’s time to bring down the house. THE STARK walls of the console room seemed to radiate a soft white light, creating a feeling of warmth in otherwise sterile surroundings. A hexagonal console stood in the centre of the room, stretching up to a bright ceiling almost entirely covered by a canopy of intertwining leafy branches. The light filtering through the greenery threw patterns of shadows across the white walls. From the distance, the faint wooden sound of wind chimes wound its way into the tranquil room. In a far corner, a man sat in meditation. With a sound like ice cracking on the surface of a deep, frozen lake, a metallic whirring broke through the calm. The noise grew closer. The man opened one eye, breathed deeply, and closed it. The clamour did not cease, and soon a series of beeps accompanied the whirring. There was a loud thunk as something rolled across the threshold into room. This time, the man opened both eyes. His metal canine companion trundled toward him. AS THE dusky twilight loomed over the rural landscape, the Doctor tied Marilyn’s reins carefully to the white picket fence, taking a few moments to calm the skittish mare. He took off his Panama and placed it crookedly on her head. Somehow, this seemed to mollify the horse; she nodded gently as if to register her appreciation. The Doctor smiled sweetly at her, but then his face turned grave as he turned to look upon the ramshackle, abandoned colonial house before them. All the while, Riddell was rifling through his knapsack a few steps away. Riddell drew alongside the Doctor, his face grim, and regarded the building before them with deep unease. “Here we are, indeed. Let’s get on with this.” In one hand he now held a silver crucifix, in the other a roughly fashioned wooden stake.